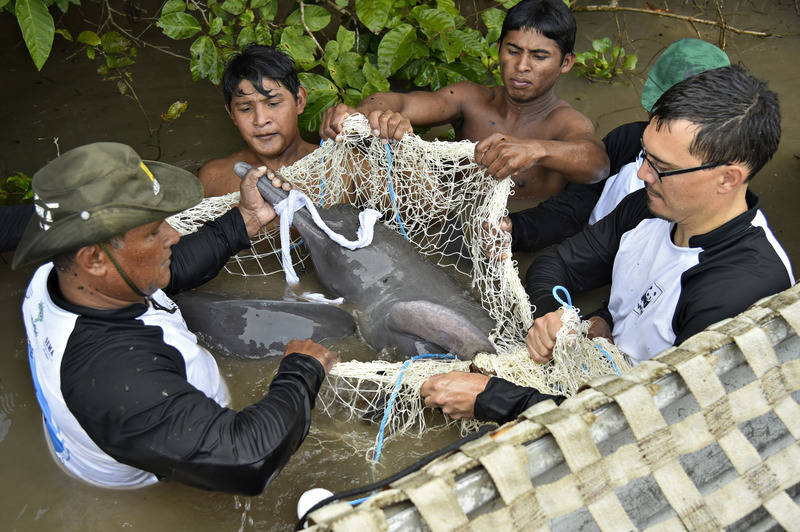 For the first time ever, WWF and research partners are now tracking river dolphins in the Amazon using satellite technology after scientists successfully tagged dolphins in Brazil, Colombia and Bolivia, attaching small transmitters that will provide new insights into the animals’ movements and behaviour and the growing threats they face. As of today, 11 dolphins, including both Brazilian and Bolivian river dolphins – two of the four species of freshwater dolphin found in the world’s largest river system – have safely been tagged and researchers are already studying the incoming data. Despite their iconic status, little is known about the populations, habits or key habitats of river dolphins in the Amazon. While there are estimated to be tens of thousands of river dolphins, the species are currently listed as Data Deficient on the IUCN Red List of Threatened Species. The tags will enable WWF and its partners to study where the dolphins go, where they feed, and how far they migrate. The tracking data will also guide efforts to tackle some of the major threats facing river dolphins, including hundreds of planned dams that would fragment many of the Amazon’s remaining free flowing rivers, worsening mercury contamination from small-scale gold mining, and illegal fishing. The capture and tagging of the dolphins followed a rigid protocol that prioritises the welfare of the animals. Having been caught in nets by teams of specialists, the dolphins were taken to shore for tagging in an operation lasting 15 minutes on average, before being released back into the water. None of the dolphins were injured during the operation and none displayed any ill effects after release. 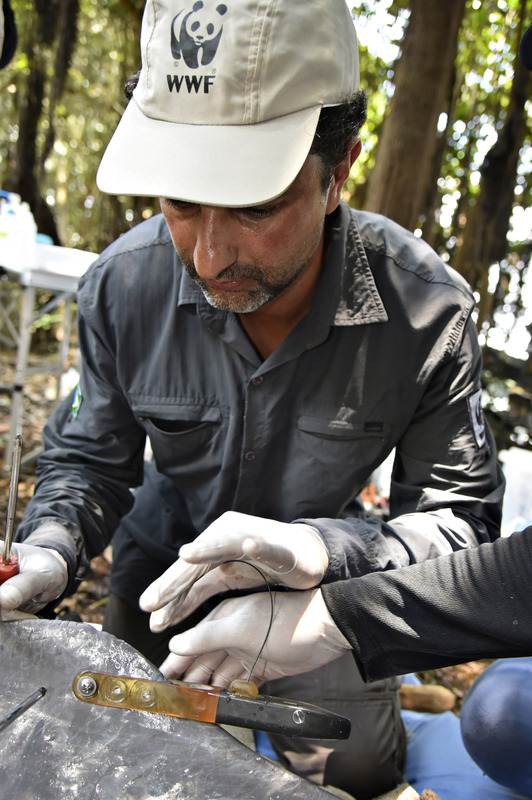 Along with installing the transmitters, the scientists also took samples from the animals, which they will analyse for mercury levels and general health. WWF and its partners will assess this historic tagging operation over the coming months and will look to scale it up and tag more dolphins if the technology continues to prove successful. 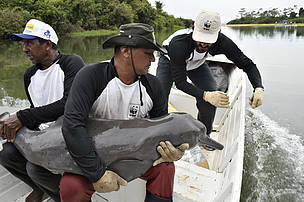 The initiative is the latest step in WWF’s long-term efforts to conserve river dolphins across the Amazon. 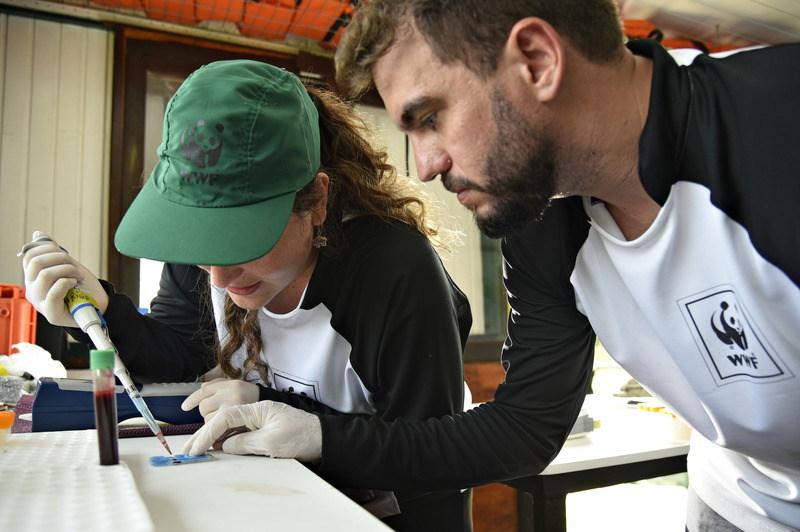 In addition to scientific research, WWF will continue to work with communities, advocate with authorities and promote the creation of new protected areas.